There are few designer labels that have caused such a stir in the shoe department since Miu Miu released their amazing glittery banana heels last year. Every budding fashionista worth her salt has been seen and snapped strutting around in a pair of either Miu Miu glittered pumps or boots and it’s a shoe trend that’s set to continue this year too. The glitter creations of Miu Miu are swooned over day after day all over the net and it’s about time we had a pair of look-a-like shoes step up to the mark. Luckily for us mere mortals who can’t afford the £500+ price tag, we can now get the much-coveted heel look, all thanks to Topshop. 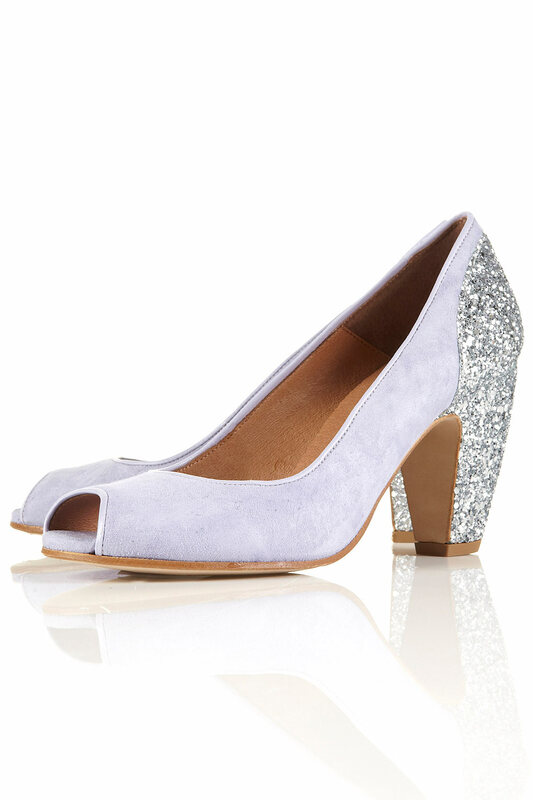 On browsing the Topshop site recently I came across these gorgeous heels that truly give Miu Miu a run for their money. For £60 these heels are a steal compared to the originals, but they’re not lacking in the style department. 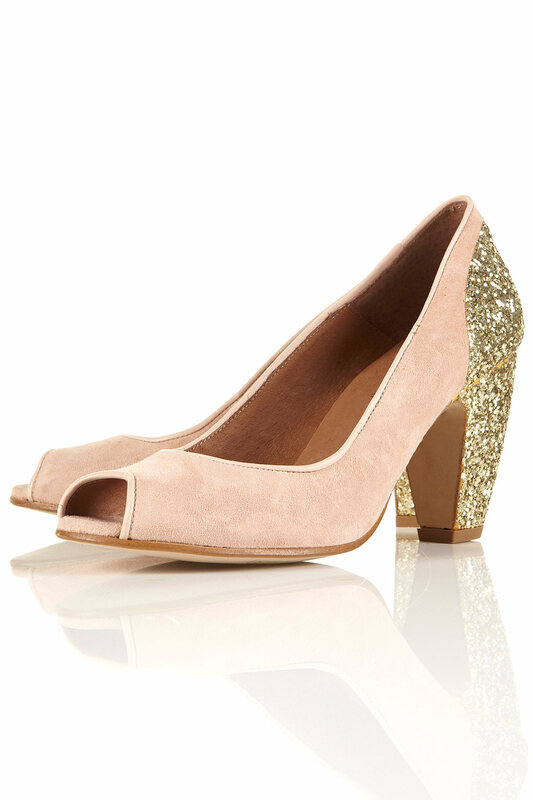 The suede and glitter pairing complete with banana-esque heel is so perfectly Miu Miu, and you can choose from three on-trend colours; pink, light blue and a gorgeous coral. Great for both clashing and matching in equal measure, these shoes are sure to stand the test of fashion time. Give your day ensemble a fashion kick and pair these with your jeans, or team these with your favourite go-to dress for instant glamour on a night out. The possibilities are endless!